Privia is securing the future of independent providers. We are a national physician organization that is transforming the healthcare delivery experience. We meet providers where they are and provide the tools, talent, and technology to elevate their practice to the next level. Privia Health is a national physician organization meeting providers where they are to transform the healthcare delivery experience. 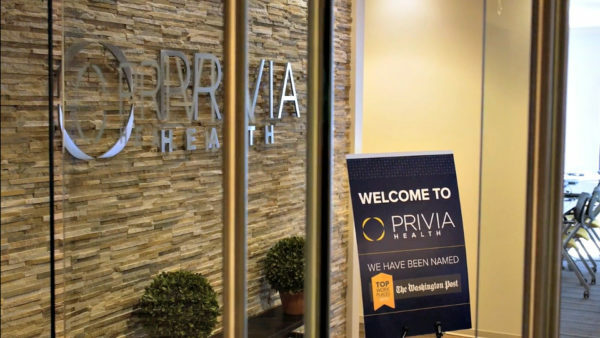 Through high-performance physician groups, accountable care organizations, and population health management programs, Privia works in partnership with health plans, health systems and employers to better align reimbursements to quality and outcomes. Our physician-led model, scalable systems and proprietary technology reduce unnecessary healthcare costs, achieve better outcomes, and improve the health of patients we serve. One of the fastest growing independent medical groups in the U.S.
Technology is one of the things that makes Privia unique. We wrap our technology around our doctors to take work off their shoulders, and help them provide better care to the patients that need it the most. Our patients love the personal care they get before, during, and after their appointments — which they can schedule the same or next day. Privia’s patients appreciate the ongoing guidance from nurses, social workers, dietitians, trainers, and wellness coaches, along with the comfort of knowing they can talk to a clinician any time, day or night. Helping patients is why doctors commit their lives to the profession. Privia lets doctors offer the best individualized care possible by granting them access to a high-performing network of clinical and business professionals — all collaborating with one another to put patient’s health first. As the largest network of independent doctors in the nation, Privia collaborates with health plans and employers to offer members reasonable costs and unmatched benefits that measurably improve outcomes. Our delivery networks avoid wasteful spending by helping patients get the care they need at sites of care offering the greatest combination of quality and value. Specialists, hospitals, and health systems, freestanding imaging and surgery centers, long term care providers, labs, and others choose to align with Privia because of our network’s size and exceptional commitment to quality care.